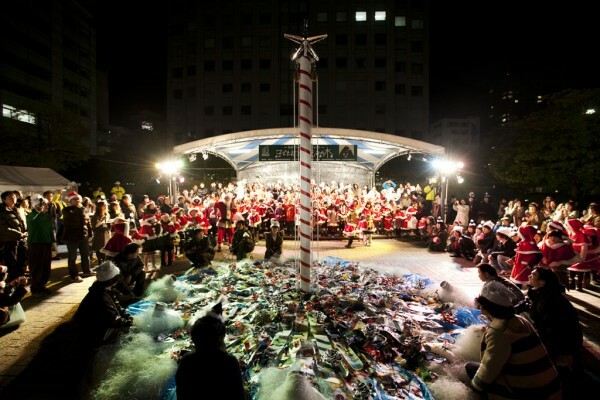 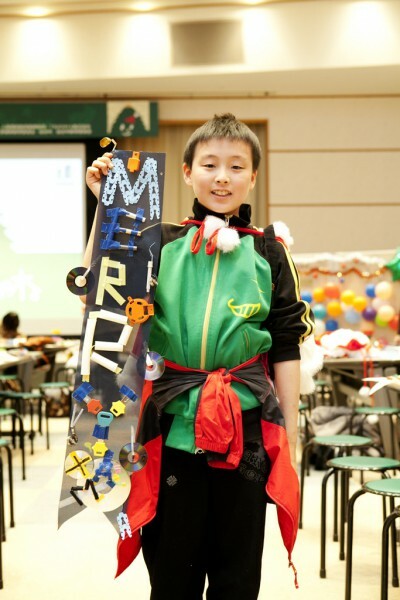 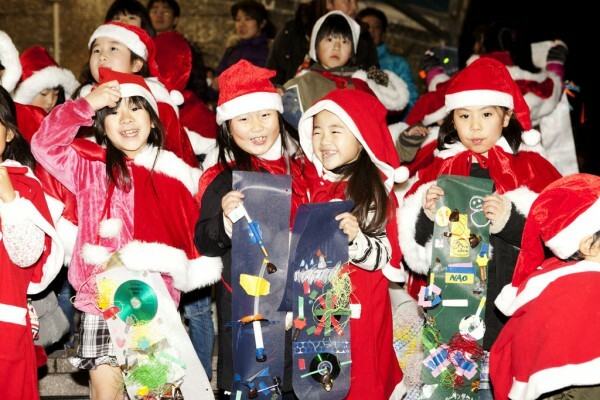 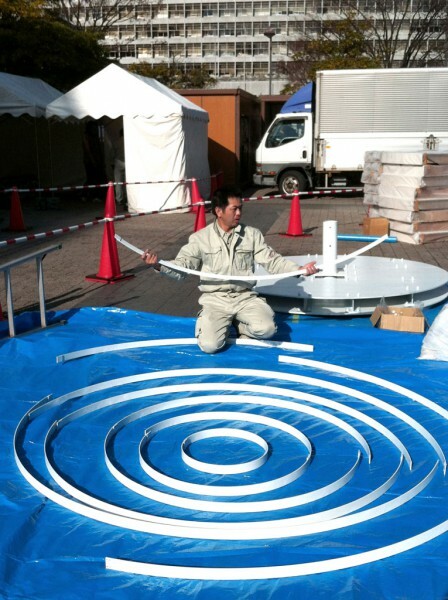 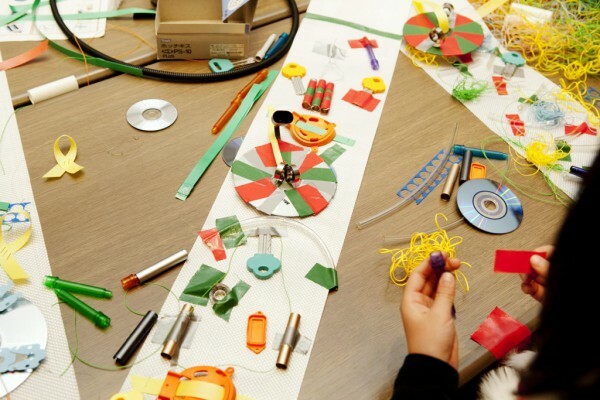 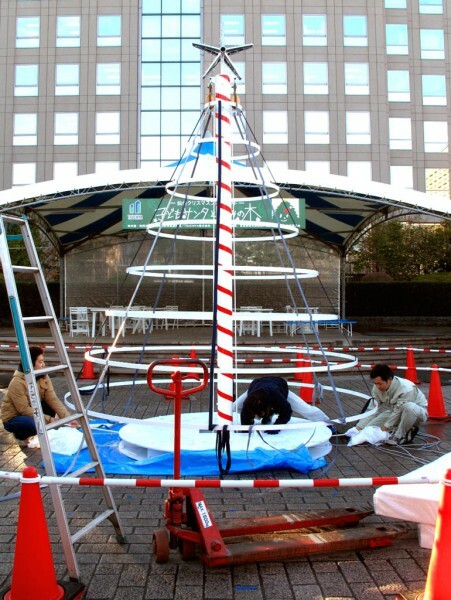 This was a workshop event for 200 children to make a symbolic Christmas tree together in Sendai, an area affected by the 2011 Tohoku earthquake. 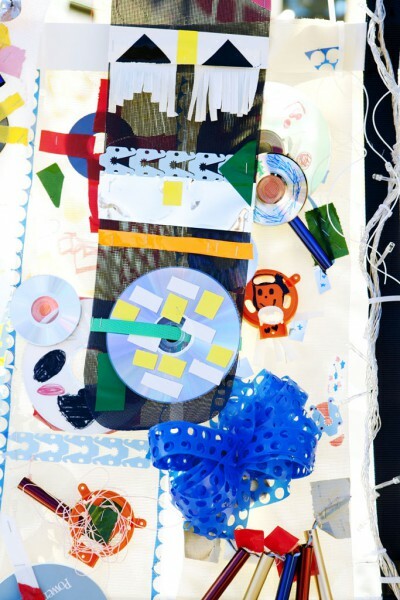 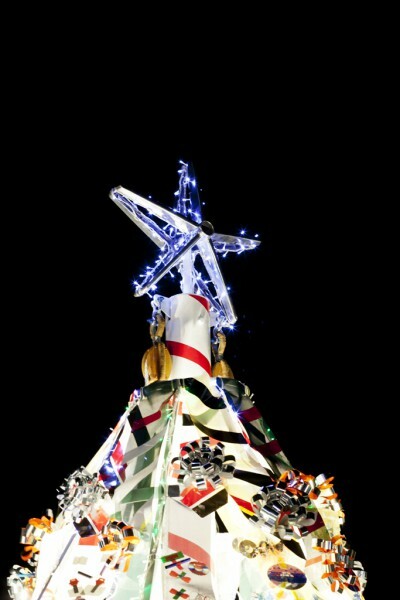 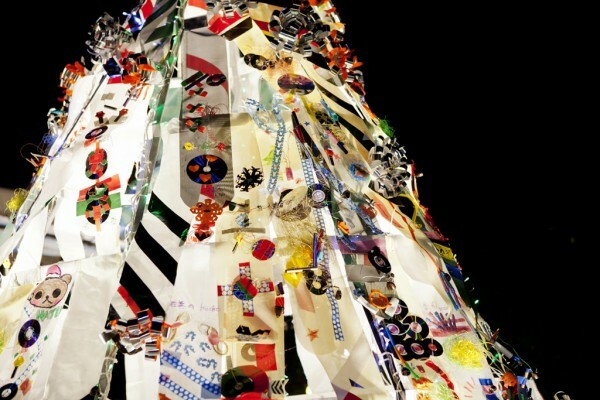 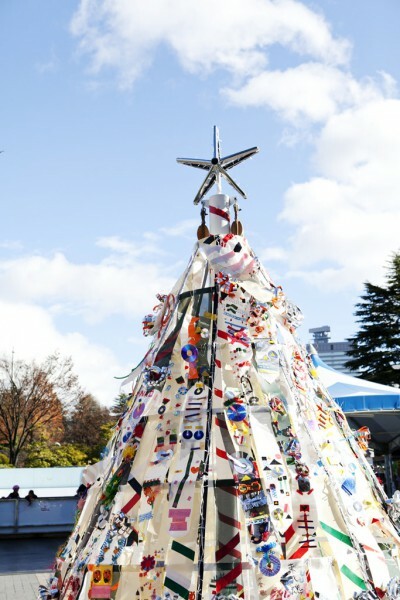 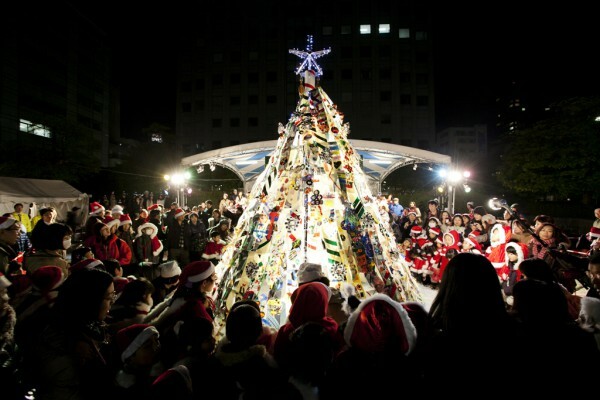 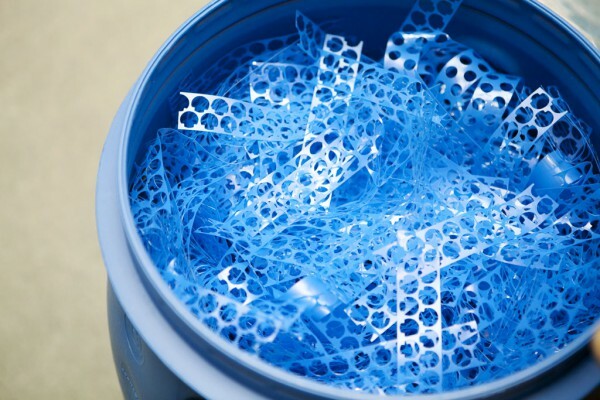 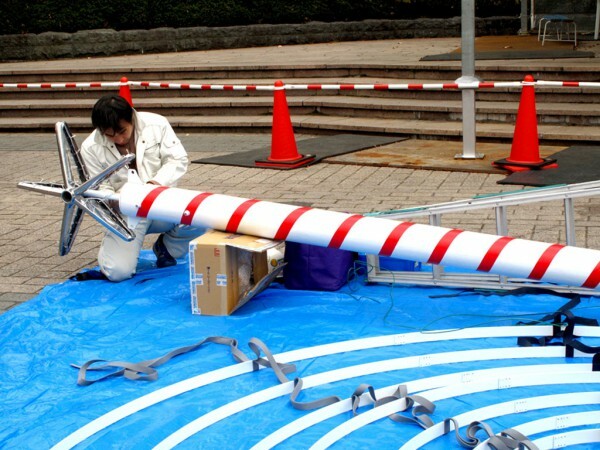 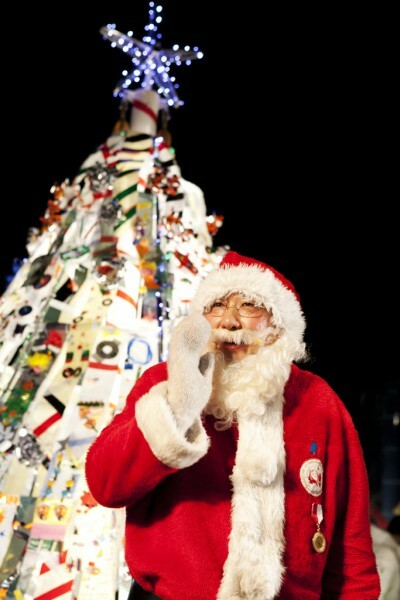 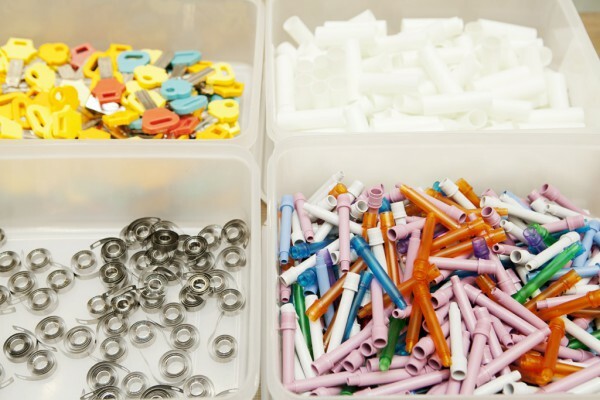 The tree was designed to be made of ‘ribbons’ created by each child using colourful recycled materials sourced from ‘Nakadai Mono Factory’, a waste depot located in Gunma Prefecture. 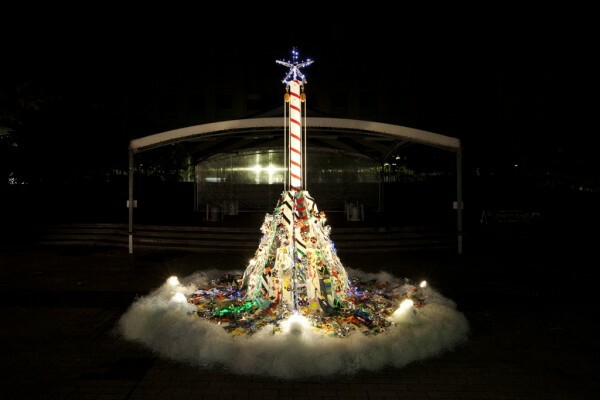 The ‘ribbons’ are hung onto a structure of various sized aluminium rings, a column made from a boat’s mast and a simple pulley system; while located on the top of the tree is a star made from the recycled steel feet of office chairs. 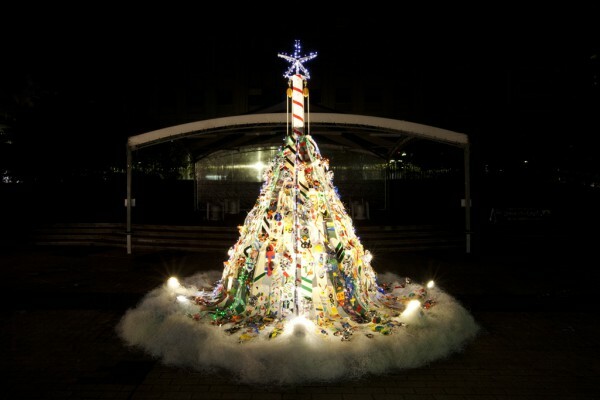 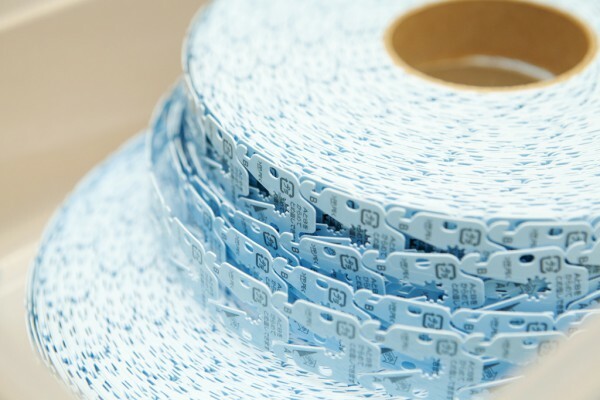 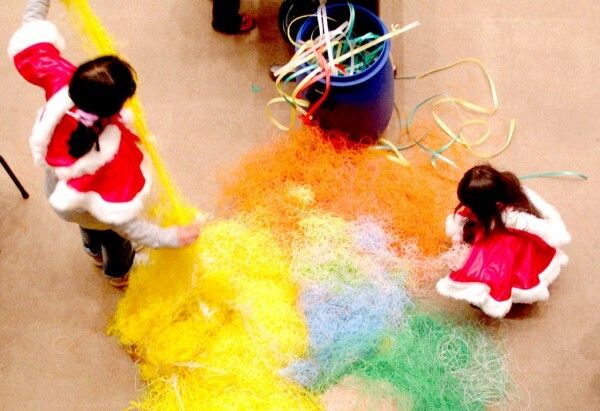 As the children pull on the ropes, the ribbons gain height layer by layer to eventually become a grand Christmas tree. 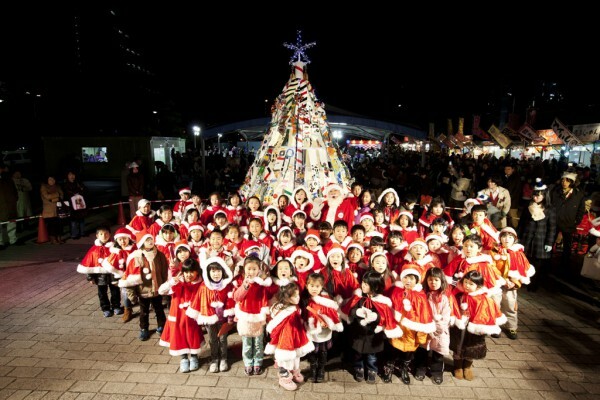 The experience of creating a Christmas tree with their very own hands was something which we had imagined to be most unforgettable Christmas present that we can give to the children.